Excellent reporting by dahboo7 on this excellent news clip .. 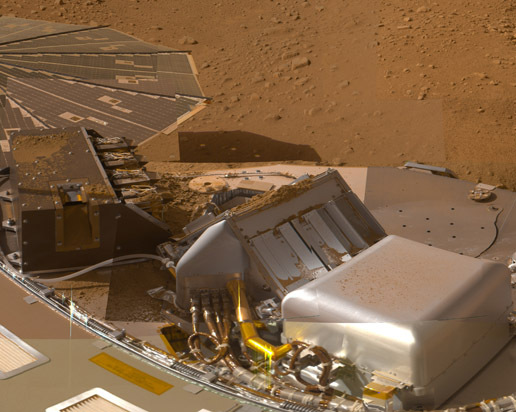 The Surface Stereo Imager onboard NASA's Phoenix Mars Lander observed clouds drifting across the horizon in the early morning on the 119th sol, or Martian day, since landing (September 25, 2008). Clouds were observed each night after Sol 80 (August 15, 2008) as the atmospheric temperature decreased. 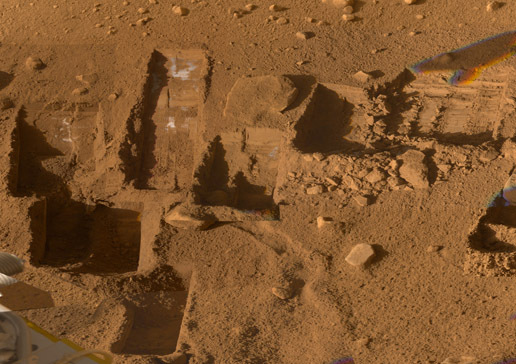 The Phoenix Mission is led by the University of Arizona, Tucson, on behalf of NASA. Project management of the mission is led by NASA's Jet Propulsion Laboratory, Pasadena, Calif. Spacecraft development is by Lockheed Martin Space Systems, Denver.